Bogus officials escaped with a 'substantial sum' of cash from an elderly man after conning him into believing they were from the water board. 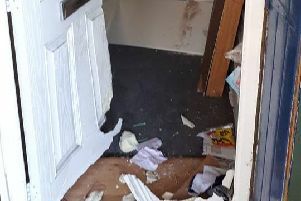 They struck at a house in Kimberworth Park, Rotherham, at around 5.30pm on Tuesday, January 16, after claiming there was a problem with the water and asking to be allowed inside. Their victim, a 74-year-old man, let the men into his home and while one remained in the kitchen with him the other searched the property upstairs. The theft of the cash was discovered later. Detectives investigating the incident have issued an E-fit of a man they believe could hold vital information about the incident. Anyone with information should call South Yorkshire Police on 101, quoting incident number 892 of January 16 or Crimestoppers on 0800 555111.